The ten routes outlined in this attractive pocket size book are amongst the very best challenging routes on the mountains of Snowdonia. 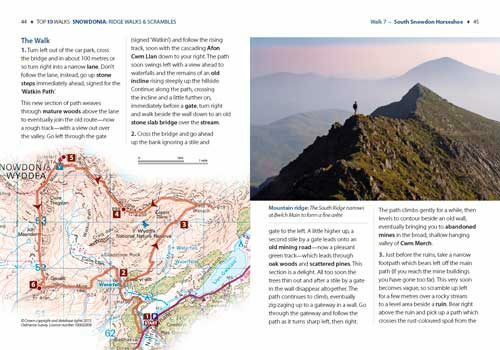 Snowdonia’s mountain ridges can be every bit as dramatic as the summits they connect. 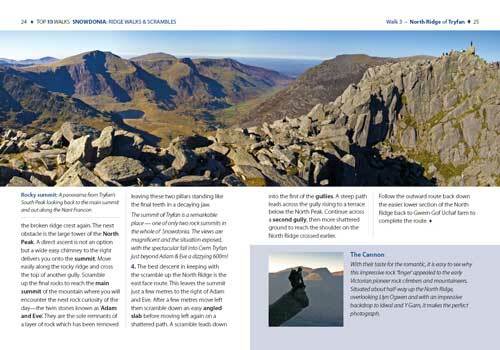 Some are well known classics like the Snowdon Horseshoe or Nantlle Ridge, while others are surprisingly well kept secrets like the Llech Du Spur, Gyrn Lâs Ridge or the ridges of the northern Glyderau. 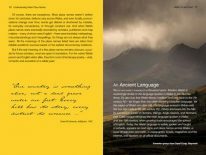 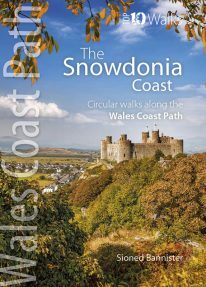 Created as a companion volume to the best selling ‘Top 10 Mountain Walks’, these little books will show you the very best that Snowdonia has to offer. 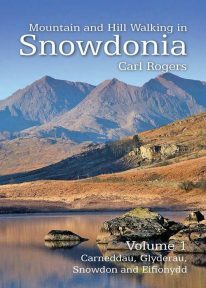 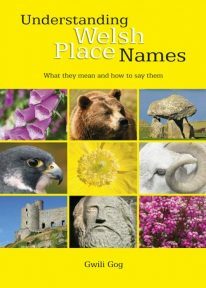 One of two current books in the new Top 10 Walks: Snowdonia series. 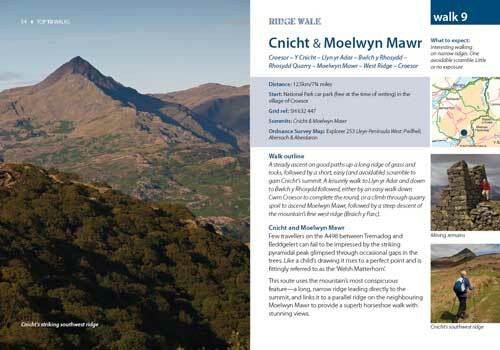 This attractive and cleverly structured guidebook gives walkers the ten best ridge walks and scrambles in the Snowdonia mountains in a handy, pocketable format. 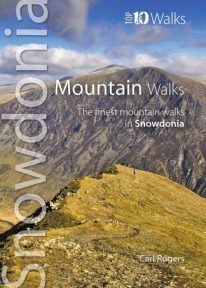 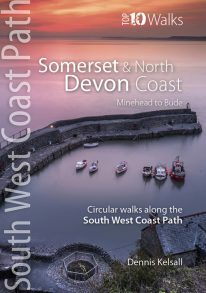 This title sits comfortably with the companion volume ‘Mountain Walks’ by the same author. 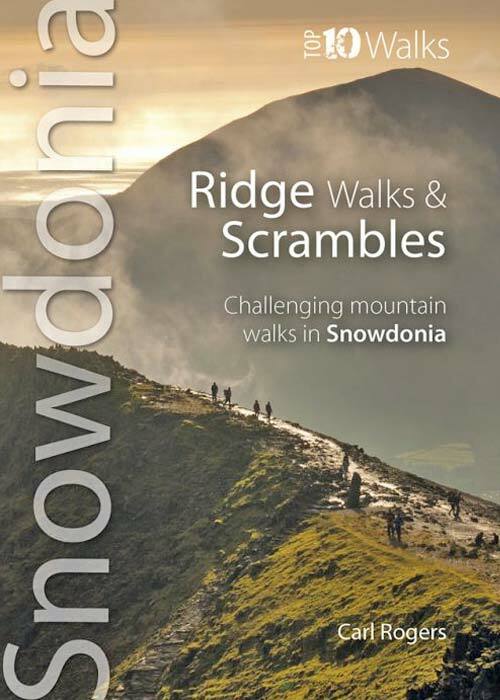 Focusing on some of Snowdonia’s less obvious and more challenging mountain routes this time, the author has included the famous Snowdon Horseshoe as well as the superb ‘South Snowdon Horseshoe’, an intriguing and less scary route if scrambling is not your thing. 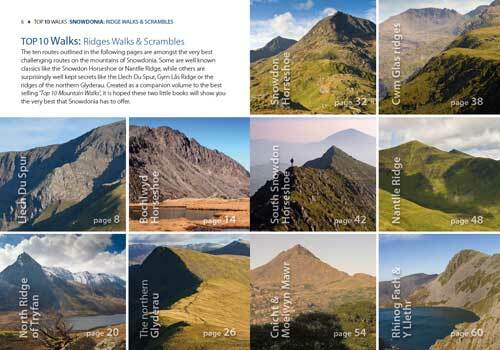 If you do fancy using you hands as well as feet then there some fine, easy scrambles on the northern ridges of Snowdon also featured.